Welcome to our foster dog chronicles! This blog chronicles one family’s adventures in taking a pit bull type dog with a sad past out of a shelter and offering it our love and a six-foot leash. We have a few humble goals in this pursuit: to find our current foster a great “forever home” by revealing her sweetness and her big personality; to encourage others to foster by sharing our experience; and to show the gentle, loyal nature of pit bull type dogs when kept as family pets. To read current entries, click here or select “Blog” from the menu above. To check out who we have fostered before, look at our past fosters page! In October 2004, I walked in to the Town Lake Animal Shelter in Austin, Texas, as a volunteer looking for a way to contribute – a mission. In November, I walked out with so much more. His name is Chick, and he is a pit bull. Something about the enthusiasm in his tail wag and the emotion in his eyes just called out to me, saying, “I love you, I love you, I love you, I’ll love you forever. Please love me too.” As I watched other dogs leave the shelter for the homes of happy families, he was overlooked, time and again. On the last day before his time ran out, he became mine. I had never met a pit bull before. To me, Chick has always been just a dog – the best dog I’ve ever met. But as we’ve passed the years together, I have been surprised with how quick some people are to judge my Chick just because of his big square head, his wide goofy grin, and his muscular physique. Like maybe there is something dark and sinister hiding under his soft fur, expressive eyes, and floppy ears. At first, I was content with Chick’s role as an individual mind-changer. He worked with me at a homeless shelter and we paraded around town together, licking hands and kissing babies, showing how lovable and mild-mannered a pit bull can really be. But over time, the different treatment of Chick crept under my skin. Like most loved, cared-for pet dogs, my Chick is just a loyal, brown-eyed pet on a six-foot leash. Like many shelter dogs, he was abandoned or mistreated in a previous life and went on to find redemption and peace in the arms of a loving, responsible family. So why was he treated so differently? The mission that I was looking for when I walked in to that animal shelter had found me. It turns out my family was in on a strangely well-kept secret: pit bulls are great family dogs. We knew we could talk about it all we wanted, but talk would only get us so far. What if we showed people by bringing homeless pit bulls into our home and documenting our lives with them as normal, well-adjusted members of our family? I started Love and a Six-Foot Leash, my fostering documentary project, and brought home our first foster pit bull in October 2010. Lollie Wonderdog was a shelter favorite – everyone’s darling. She had been bred, starved, beaten, and thrown in a dumpster, where animal control found her. Despite her poisoned past, she was the happiest, most affectionate dog the shelter had seen in a long time. Unfortunately, her prospects at the shelter were not good: very few families will stop to consider adopting a three-year-old pit bull with stained, patchy fur and scars on her face. I knew that she was exactly the kind of dog who we could help. In our home, Lollie blossomed. She learned how to play with toys, eat snacks, and solve puzzles. She learned how to trust and how to snuggle, and even how to dance. After a few months, she was like a different animal. She was clean, groomed, and beautiful. She was no longer emaciated or awkward around strangers. She had gone from being a stray dog to being a house pet – an emotional transformation to watch. Lollie met her perfect family in February, and was adopted, by a family who had never considered a pit bull before they met our girl. With eyes full of tears and hearts brimming with love and pride, we let our little girl go off into the world to start her new life – a gentle, happy life that would not have been possible without our care. Since then eight other homeless pit bulls have passed through our home and found their way into our hearts. Each one charming, each one unique. Thanks to them, we have opened hearts and changed minds. Many people just don’t know what these dogs can be like, and can’t picture one in their lives. But fostering is a perfect way to counter this all-too-common lack of imagination. If we, a busy young professional couple, bring a homeless pit bull into our home and successfully demonstrate how perfectly she can fit in, the least we will do is make some people think twice. It’s hard to make any sweeping generalizations, but since we began our adventure, handfuls of people have confessed that their eyes have been opened. If I had a nickel for every time I heard someone say, “I could never foster, it’s too hard to let them go,” I could buy a whole mountain of dog treats. Absolutely, it’s hard to let a foster dog go. But for us, it’s not as hard as knowing that we could have saved a life but didn’t. Every dog who enters a foster home is not only improving his own prospects for adoption and elevating the image of shelter dogs to a higher level, but also opens up a shelter cage space for another needy dog – a dog who won’t be euthanized due to lack of space. There is no question, fostering saves lives. In light of that, letting a dog go is not so hard. And in truth, I’ve learned something along the way: we fall in love with every dog we foster. While that makes it hard to let each one go, it also makes it easier in a way. Sending a dog off to its perfect forever-home gives us a chance to fall in love again, and again, and again. Contact us at info [at] loveandaleash [dot] com. Love your blog! Lollie is just too cute. Thank you, and welcome! She is a treasure. If you know anyone in the greater DC area looking to adopt a beautiful, brilliant dog, direct them to our blog! I love your blog. What a wonderful way to save lives. You are really putting your whole heart and soul into this. We fostered a dog after our first dog, Winnie opened our hearts to pit bulls, but we weren’t able to give up up- now we have two :). You are doing so much good by being able to pass them along to other good homes. I’ll be checking in often to learn about little Lolli and I will post about her on my blog :). How can I follow you on blogger? Hi Ann, Thanks for your note– we do love the bullies, and consider them to be our special mission. We adopted our Chick in 2004 and have been hooked ever since! Love your blog! Im a college student in Cincinnati and after adopting my first pittie two years ago, I’ve also found myself on a bit of a mission of advocacy. This past year Ive fostered a couple pitbulls and mixes, and have never felt as rewarded as I do when I let one go to his/her new home. I also hear pretty frequently, “I couldn’t foster, I’d get too attached”. Actually, my first foster was predicted to be a “foster failure” by the rescue because they thought I’d get too attached 😛 My Nola girl reminds me daily of how much she enjoys being an only child, though, which is why it has been easy (enough) to rehome my foster babies. That plus the fact that I know they are getting a new lease on life because of a little bit of effort on my part. Keep up the good work! I am a pitbull foster as well, and the main reason why I am able to give up my fosters is because I love my own 2 dogs SOOO much and I know they enjoy when it’s just them in the house (which isn’t very often.. haha). I love meeting people who share my mission!! I adore your blog and your mission! I’ve been a pittie foster mama, too, and couldn’t agree more with your sentiment that yes it’s hard to foster, but it’s far harder to know you could have helped but didn’t. I’m so grateful for the furry little lives I’ve helped to save — a few tears at goodbye is nothing compared to the joy they give me. Thank you for this fabulous resource! It’s a real shame that pit bulls have gotten a bad reputation because of a few horrific PEOPLE that raised and beat some to be fighters. Why should they be punished forever because of this? They are wonderful family dogs and I can’t imagine getting any other breed of dog. Loving, fun, compassionate, and loyal. Got here via “I am not a monster”. Love your mission. Love your blog. Thank you for your amazing effort on behalf of the “pibble” breed. I live in a BSL city and have always wanted to own a pitbull, I did adopt a mix breed who flies under the radar, but occasionally gets hassled for being a “damned pit” and it breaks my heart. He’s nothing but loyal. A sweet dog, with a penchant for snuggling with kitties and licking kiddos in the neighborhood. Keep up the good work and thank you! What an amazing blog. I am so happy I came across this. My family has been fostering rescue boxers, pitbulls, and everything inbetween for as long as I can remember. I am looking forward to reading more about this!! Hey, thanks for this very sweet note! I always love hearing from others who are involved in rescue. The world becomes a little bigger and a little friendlier every time somebody like you reaches out. Just noticed the change in your layout (I primarily follow your blog through emails). I love it! It looks so bright and cheery! We love your blog and your pictures are just amazing 🙂 We’ve got 4 rescues of various breeds but it’s our american bulldog/lab mix that has the best disposition. Buddy was a dumped stray that stayed, this dog NEVER has a bad day. He LOVES everyone and everything and when people ask us if he’s dangerous–the resonse is only if you mind getting kissed to death and bruised from the ever wagging tail. He’s in agility training now with me and a trainer who loves him and our goal is to also pass the CGC exam. He has changed our minds, and hopefully others with one slobbery kiss at a time. Went “blog-hopping” and found yours – love the photos and (of course!) the mission. Love the dog pix too. Very nicely done. Whoops! back again to leave you a trail back to me. I think it is fabulous what you do. My husband and I have talked about fostering sometime in the future. I have a deaf pit bull, Daisy who we rescued from a shelter. She is the sweetest, most loving creature I have ever met as well as the love of my life (besides children & husband). A truly fabulous breed! Such cute dogs, and great photos! As a girl who has wanted a pitbull since first playing with a friends five years ago, I have been given many weird looks. “Why would you want a pitbull? Don’t they eat babies?” Thank you for all your work to prove them all wrong. I will one day adopt that perfect pitbull pooch for my life, and I know I will never regret it. lovelovelove everything about your blog! we are dog-lovers, and it warms my heart to see the wonderful work you are doing! Wonderful story! We started fostering for Austin Pets Alive (the no-kill arm of TLAC/AAC) in January and fell in love with pibbles thanks to them. We went through eight fosters before we became failed foster parents and adopted one of them. She’s amazing and we have no regrets, although we’re bummed it’ll reduce the amount of fostering we can do. All of your foster babies are beautiful! Your family is doing a wonderful thing! I’m all sniffly and happy after reading this. You see, I found a pit puppy when I was in high school, dropped on the side of the road at the end of my parents’ driveway on a semi-rural road. We actually found three, but one died of a heart defect and another found her home down the street with another family that loved her. But one stayed, my Speckled Dog (Speck), and for several years, he was my best friend. As he got older, that tell-tale square head and muscular shoulders appeared and that grin that stills my heart every time. He was my love, my then 4 year old nephew’s play toy, and a loyal defender of our home, from the guys who tried walking up our driveway one night while my nephew and I were outside playing, to that freakish owl that liked to sit outside my bedroom window (yeah, I’m scared of owls, long story). I never could understand why people were afraid of him and others like him – so long as you offered no threat to our family, he loved everyone! And that’s how, just before Christmas in 2005, someone was able to get him into a van and take off with him. I haven’t been able to replace my Speckled Dog (can you ever) and I haven’t been somewhere to allow me to adopt another. But I will one day, and then, when we’re in a place where we can foster, we’ll do that, too. So, thank you – for giving these dogs a home until they can find their forever home, and for trying to change the misconception of the last 20-40 years. Hoping we can get back to that historical image of the pit bull as the ultimate American family dog (yes, before the lab or golden retriever!). Wow Lea, your story sent chills down my spine. I can’t imagine the big empty place in your heart left behind by Speck’s departure. I hope that one day you can love again. You can’t replace him, but you can make your heart full with love again. Thanks so much for sharing a piece of your history with me. So, I decided she would become my ward and I would take her walking and running and without fail people would cross the street if they saw us coming, they would move as far to the side and seem to get angry at me if I didn’t pull her back on her lead – she just wanted love! Look at that face, she is the sweetest, gentlest dog! I think everyone is afraid because people do treat some of them wrong and they do get aggressive – but any dog you treat bad can – the difference is that they have such powerful jaws and can do so much more damage than say a chihuahua who are always angry little dogs! But so can labradors, alsatians, any big dog – their size, along with those few people who treat them bad, is what helps the fear spread. It’s sad. I understand your frustration!! I have a wonderful Doberman – my second so far – and people cross the street to get away when I walk him, run down another aisle when we go to Petsmart and we actually have an exclusion on our homeowner’s insurance policy because we own one of the “big three” in aggressive dogs!! It’s so sad that people can’t see what sweet, loyal and funny dogs these guys are. Personally I have never met a Dobie, Rottie or Pit that hasn’t just melted my heart and made me laugh. And I will take one of these dogs over an “ankle-biter” any day!! Kudos to everyone on here for the love you show to these amazing animals. That’s fantastic what you do – I would love to do that one day in the future when I am not stuck in a garden-less apartment in Hanoi. My sister-in-law was looking to adopt a dog in London recently but sadly so many staffordshire bull terriers (which end up in similar positions as Pitt Bulls in the states – owned by the wrong people) in the shelter were very poorly adjusted and only getting worse due to living in isolated compartments in the shelter. I look forward to reading your blog more. Thank you for the fostering and the work you’re doing! My husband decided to get a pit in 2007, and I was wary of the idea since I had never been around a pit before and only knew what the news told me. What he did was bring home the most caring, loving and sweetest puppy (now dog) I’ve ever known. Baxter has changed the minds of nearly everyone who meets him. I can’t imagine a better family dog and I highly doubt we will ever even consider bringing another breed into our family! found your site today via “freshly pressed” on the home page of wordpress.com. for the last hour (oops), i have been reading, oohing, awing, sighing, and sobbing at your beautiful pictures and inspiring words. you and “foster dad” are heroes for these forgotten souls. thank you for sharing your stories and reminding all of us what it truly means to be selfless in the name of puppy love. Thanks for this very sweet note. This is the kind of encouragement we need to renew our resolve to work toward the Doodlebug’s adoption rather than toying with the idea of keeping him for ourselves. But just so you know — it doesn’t feel selfless. If anything, we feel lucky and sometimes selfish to get to enjoy the pure, sweet love of so many incredible dogs. I’m sitting here, nodding through the whole post, agreeing with every little word. And it’s sad, but there’s hope. One of our dogs is a staffy, a big one, so everyone assumes he’s a pit bull. Unfortunately, more often than not it’s ment as an insult. But! Give him 5 seconds and he’ll turn ANYBODY around – he’s just that lovable! They all are, really. Great job, great blog, and much respect to you for doing this. What you are doing is wonderful! Every pet deserves a loving family and happy life. 🙂 So glad I found your blog, it brought a smile to my face. I’ve adopted recently and it is such a wonderful feeling. I hope your blog inspires others to go to shelters and give those animals a fun life with unconditional love! We’ve volunteered over 1,500 hrs in two yrs at our local shelter and have fostered many dogs/cats/fish/birds/reptiles/etc. and learning enough to fill a book or two. Wanted to pass this organization along to you – http://www.bullseyerescue.org/ – in hopes that somehow maybe you both could work together despite the distance. Your blog has obviously reached many people and perhaps by teaming up with Bullseye, your reach could extend that much further. And we both know that the more people become educated, the more lives that are saved. Keep up the great work! What a beautiful blog. I never thought I would be able to foster dogs because I get so attached, but in the past few weeks I’ve seriously reconsidered my stance and just may become a dog fosterer–provided my cats don’t give me too much trouble over it. What you do is amazing, and the dogs are so lucky to have people like you. I really love your blog and admire your goal. In England, the equivalent of the pit bull would be the Staffordshire terrier, or ‘Staffie’. These dogs are frequently picked up by gangs and used as ‘weapon’ or ‘bait’ dogs. They have a reputation as nasty and dangerous but are actually big soft, family dogs. A friend of ours picked up a staffie that had been thrown from a moving car. She had scars all over her body and is a massive bundles of sweetness and would never hurt a fly. I really admire what you are doing. These dogs are lucky to find you. Thinking that there are people like you out there makes everything so much better. You write about them little angels so beautifully, it’s like your heart is writing the story. I could barely keep myself from crying over the stories above and the images. No more words. You are amazing! Bless you for what you are doing. And your blog is wonderful. I have an absolutely marvelous rescued Pit mix female, Roxie, who is the love of my life as well as my business partner in my home-based dog boarding business. She is an essential part of my work and my heart. Roxie is 10 now, and I have often thought about what I will do if/when I lose her. I have had the recurrent thought to do serial fostering. Since I do attach in such a profound way to my dogs, I was never sure I had what it takes. Reading your blog (through my tears) has given a boost to this idea. We’ll see…. Thank you. I agree with the previous commenter that knowing there are people like you in the world–a world that is upside down and out of balance– gives me some small measure of hope for the future..
At least once a week I tell myself that I should stop reading this blog because it makes me want to foster more and more and I’m pretty sure my resident bull-something just isn’t ready. But we’re working on socializing her with other dogs more and more so maybe some time in the future. Maybe near future, who knows? We did manage all right with the stray cat in my guest bedroom for months and she’s even worse about cats than she is dogs! Either way, everything I learn with helping Greta will be one more tool in the box for the future. I’m so happy I found this blog because it has all the things that are near and dear to my heart: pit bulls, rescues, and photography. I am looking forward to hearing more about your adventures fostering pitties! So glad people like you exist. 🙂 Thank you for your time, commitment and participation. I am no where near DC (actually in Georgia), but I plan to follow and share what you are doing here. You have such an amazing blog! I’m so glad I found it! Looking forward to your posts. It’s nice to see that you fostered a Pit Bull just because you liked the look when so many people associate that blocky head with vicious dogs and continue to foster Pit Bulls, changing people’s view of the Pit Bull. I look forward to reading more posts. WOW!! I commend you for taking on this mission! My husband and I are on opposite ends when it comes to the pit bull debate: I feel that the demeanor of all dogs is the direct result of how he or she is raised, not of his or her breed. 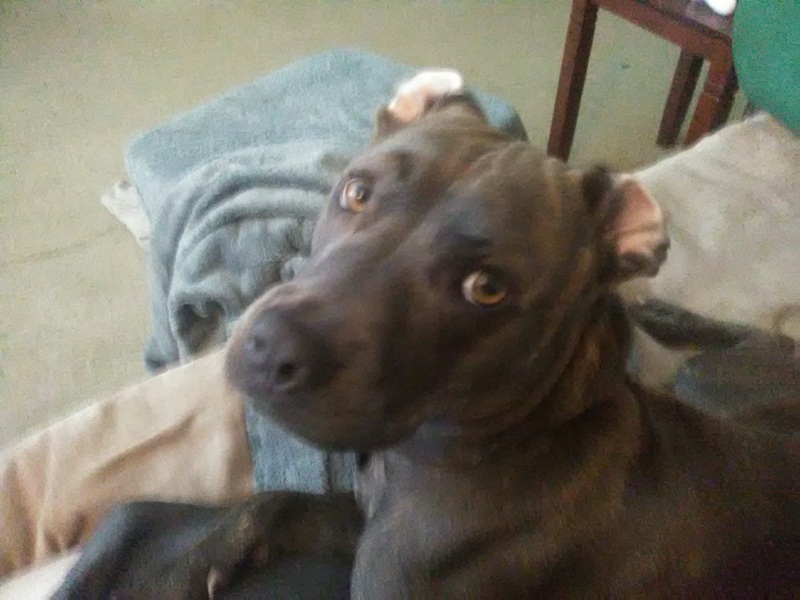 My husband, after hearing about the tragic incidents that have recently occured where pit bulls have bitten/attacked humans in the Bay Area, has cemented a stereotypical view of pit bulls that is such a shame, in my opinion. Weren’t they super popular in the early 20th century because they were considered great family pets? As with all breeds, the owner needs to be 100% knowledgable about the temperament of his dog and raise him accordingly. The individuals who owned the poor pit bulls who have been in the news in my area were most likely clueless because they did not want to take the time to learn, or they did not have the resources they needed. To have the entire pit bull breed suffer this stigma because of the mistakes of a few individuals of the two-legged variety is wrong! As a dog owner, dog-lover, and animal rights activist, I am so happy that you have taken on this cause! I can’t wait to read more of your posts! Hi Jess, and thanks for the note. It’s interesting that you and your husband are on opposite sides of the debate. I think what’s important to keep in mind — and where you may find common ground — is that every dog is different, and making any broad, sweeping generalizations about dogs based solely on their physical appearance is not going to get you the whole story. There are some amazing pit bull related organizations in your area that I recommend you check out — BAD RAP is the most prominent. They do amazing work. You may have already received this award, I just wanted to show my appreciation for your blog! Thanks! LOVE your blog and what your’e doing! We’ve had our pittie for 5 years and he is the love of our life. We found him as a stray while we were in college and took him in and our lives haven’t been the same since. I am always trying to advocate for pit bulls and tell people they are the most wonderful, loving, loyal dogs I’ve ever met. Thank you for what you guys do! I Nominated you for the Sunshine Award. Go to my page to see what to do. Congratulations. I love your blog. This is amazing to read. I followed and am looking forward to reading more from you. Hi! I’m just stopping by to let you know that I enjoy your blog so much I recommended it in my ‘Blogs that will improve your life’ post. Aleksandra- I wanted to let you know you and your wonderful blog have been nominated for the Versatile Blogger Award. If you’ve never been nominated before, check out http://versatilebloggeraward.wordpress.com/vba-rules/ for the information. Thank you, what an honor!! As a proud Pitbull owner I am so happy to have found this blog. I too had never really paid much attention to them until my ex boyfriend bought one 6 years ago. Today the boyfriend is long gone but Chaos the Pitbull remains my best buddy who is a constant companion and the worlds biggest sook ! It annoys me that some people judge him on his looks however he seems to change peoples minds pretty quickly – my Mother and Grandmother hated them until I got Chaos – now Mum is a big fan of Pitbulls and my Grandmother is no longer convinced they were put on this earth to kill small children ! I think its great that you are helping these gorgeous dogs find loving homes and I hope we have local programs as I would defiantly be keen to do something like this when we get a bigger place. Oh gosh, I did the “recommended blogs” thing and as soon as I saw this one I had to click to follow button. Thank you. Thank you, thank you and your family and all the support you have gotten. Seriously, I’m crying. Thanks for this lovely note, you made my day this morning! You’re also making me feel a little pang of regret that we’ve adopted one of our fosters and put fostering on hold for the time being . . . hopefully you’ll find the adventures of our two (Chick and the Dude), along with our work in dog rescue and training, to be interesting enough to keep following! I recently decided to start a blog about my own fostering adventures and while trying to teach myself a little about blogging (I am very NOT tech-savvy) I stumbled across yours. It’s so beautiful! I can only hope one day mine is a fraction as inspiring and beautiful as yours is. Keep up the great work! I’m very glad that I came across your blog and love following Chickerdoodles adventures! Your inspiration for the day when I can welcome a dog into my home. It is awesome what you do. I love pits. Have never owned one but have yet to come across a mean one. I had an American bulldog that I rescued and he was my big teddy bear. I love your blog. Thanks for it. You’re doing a wonderful thing. We fostered our Great Dane, Prince, for exactly 1 hour. Then we adopted him 🙂 We’re what they call foster failures. I came across your blog because of your Freshly Pressed post (congrats! ), and I just wanted to say that you brought tears to my eyes. As a dog lover myself, and the neighbor of a sweet pit bull, my heart is warmed beyond measure by your little ray of sunshine in an often bleak world. Unfortunately, my transient student lifestyle prevents me from sharing my life with a canine companion at the moment, but the moment I can bring one into my home, I will, and your blog has inspired me to look into the fostering route. Please keep up the wonderful work you do! Aahhh. We made it a point to adopt a pit after our wonderful pit mix, Reese, died two years ago. We got our red-nosed Layla at the Pasadena (the one in California) Humane Society, where they now have a program to prepare deserving pit bulls for adoption and educate the public. Thanks so much for the work you do. My blog has a link to stubbydog.org, but I’d like to add your site as well. I’ve been reading through your archives and like so many others, I think what you do is beautiful, amazing, heart warming, and courageous. It takes a lot to let a pet into your life and help it to find a forever home, and it’s beautiful to see someone brave enough to do it. Thank you for what you do! There is little more gratifying than sending a foster off to a forever home. We just sent our last foster, Stew (a rabbit that we’ve had for almost 3 years) off to his new home yesterday. Now we have room to take another one in. You are doing a wonderful and amazing thing. Love your blog and your mission. thank you for what you’ve done and what you do for a breed that is misrepresented. I’ve never had a pit bull but I did, however, have 2 Rottweillers and 2 infants in the house at the same time. People gave us so much grief and were horrified to learn that truth – u know what- my babies lived 10 happy years, never ate the 2 leggers and were their best buddies and watch dogs. And when it was time for me to put them down (9 months apart) from cancer – it broke my heart in a way that can never be fixed but I was glad for every hour of every day in every year I had with my misunderstood four-legged children! Thank you for your inspiring blog, and for what you do for these wonderful dogs. Will happily spread the word. What a lovely idea for a blog! I wish the world was full of people like you. I will be following closely! I never had a dog and have heard a lot of bad stories about pits. Thanks for opening my eyes about their gentle nature. Guess, what? My husband and I are on a one week trial for a six month old male pit bull/pointer mix, and I was wondering if you had any reputable websites or information on basic information, and possible allergies that pit bulls are prone to. Any information would help us know what we may be in store for. Congratulations!! what kind of basic info are you looking for? Do you have other pets in the home? As far as pit bulls in particular, look at Our Pack and BAD RAP. As far as allergies, many dogs, and pit bulls in particular, have sensitivities to wheat, corn, soy, and eggs. Find a good Quality kibble with none of these fillers, and you may see an improvement. A lot of dogs suffer from environmental allergies as well, but you will have to ask the vet for the appropriate type and dosage of antihistamine for those. Best of luck and please let us know if you have specific questions or issues. Typed by my trained monkey. Please excuse tybos. Well, you pretty much answered some of the basics, such as what he might become allergic to. He was a foster for a portion of his young life, but the foster took him back to the shelter because they had too many dogs, or something like that, we didn’t get a lot of information. Well, actually, we got pretty much nothing. We don’t even know what food they had him on before we started our one week trial. I currently have him on Science Diet for large breed puppies. My husband and I are watching for any signs of illness (kennel cough mostly) or allergic reactions to grass or his food. He has a bit of a sneeze, but that could be the other dogs fur, or the cats. If he does develop a food allergy, what kibble would you suggest that don’t have all those fillers? So, we have a 1 year old beagle dachshund mix, and 2 cats. We use baby gates to keep both dogs in our living room, and the cats have the run of the rest of the house. I was wondering if you had any training tips for things like dropping toys, and getting dogs to not jump up on people. Our beagle still does this, and we have no idea how to make it stop, so the new guy does it too, and he is already 34 pounds at 6 months, so we have to nip this in the bud ASAP. Another problem we have, is mouthing and nibbling, both dogs do this and I don’t know how to stop it. It doesn’t hurt went the nibble, but I want to make sure it doesn’t hurt later on. I have been reading your blog for a while now, and reading a few other Pit Bull blogs, and reading about training. I have learned A LOT from your blog and from others. Because of the information I have learned from you, it made both myself and my husband open to adopting a Pit Bull, so when we went to visit and play with the animals at the Humane Society, and saw this little guy, we decided to get to know him better and see if he gets a long with our beagle. We have had him for a day and a half of our one week trial, and both dogs are getting along wonderfully, no room separation for them. No fighting, mostly he is just a big goof ball. We had some whining when he went into his kennel last night but it didn’t last long, and we had a potty trip half way through the night, so far no accidents, so potty training is looking great. Btw, we have a one year old female beagle/dachsund mix, and any information about how to make sure they don’t hurt each other with harmful play (since they both have been playing pretty rough) would be very helpful. I love your blog and your work with pitbulls! I work at a Vet’s hospital and we’ve had a stray pitbull mix staying there for a year and a half. I’ve come to love him a lot, and he’s one of the nicest dogs I’ve ever met. Your blog gives me hope that he’ll find a home someday soon! I wanted to recognize you for your lovely blog. Here is my nomination for “One Lovely Blog” for you. All but one of my dogs have been resuce dogs. I’m convinced they know they’ve been given a second chance and do all they can to show appreciation. I have enjoyed peeking into your world and think you’ve done an amazing job of sharing life lessons and the beauty of owning dogs. I have my own rescue too. I have fallen in love with your pups and I am honored to nominate you for the One Lovely Blog Award! Please pick-up your award at Life Textures http://wp.me/2z1jQ . I love this! This is such a caring and loving thing you do! Never forget that!!!!! I love your blog!! I am also a pitbull foster, hoping to change minds and hearts along the way. I just let go of one of my favorite fosters EVER. I still miss him like crazy. It’s nice to read about other foster’s experiences and know that there are people going through the same pain, and receiving the same pleasure. It warns my heat every time I read someone who has an open heart and mind when it comes to bully breeds, I’m a proud Staffordshire bull terrier owner and constantly find myself gritting my teeth when people ask “isn’t that the vicious breed”, he is a total baby and more importantly my baby. Keep up the good work your an inspiration. In my eyes, you are such a hero. Too many people look past dogs who just want love. They need it just as much if not more than we do. You are seriously an inspiration and someone to look up to. Your sight is incredible inspiring, and everything you. If you choose to accept it, by which I won’t be offended if you don’t, is to 1) display the award logo, 2) link back to the person giving the award, 3) state 7 things about you, 4) list 15 blogs that you wish to nominate, 5) notify these bloggers of the award and the rules. The person that nominated me is here: http://theleapingllama.net/ Keep up the amazing work you are doing, because it truly is amazing! This is great! I might be fostering a dog this weekend! My roommates and I have a crazy schedule so I’m talking with the rescue owner to make sure we’re the best fit for one of their dogs. I really hope it works out! Maybe if it does I’ll make some posts too! Hi ! I love animals , particuallary dogs , and i am so impressed of what you do for those pitbulls . I am so glad to see that someone are defended this breed, pit bulls … And watch over them ! I stumbled into your blog but i am going to follow you ! Keep up your Amazing job for these pitbulls . What a wonderful idea! Lovely photos! I love dogs and it really warms my heart to learn about people like you! Great job! You’ve been nominated for the Super Sweet Blogger Award! I look forward to hearing more about fostering efforts. Just happened upon your blog. Love it! I love animals, dogs and cats, but my schedule in healthcare doesn’t really allow for enough time for a dog. I adopted 2 kittens this past summer, love them! Foster/adoption is the way to go. oh wow, oh wow – my son would take every dog on your blog!!! The pics and postings are wonderful. I am so glad I found you by just Googling images of Wally…long story. I found a pit/lab in a parking lot and he has been with us for four wonderful years. His story is in a post called “She Found Me” at http://lifeonleash.wordpress.com. I love reading these things! Thank you, thank you, thank you. You are amazing! Thank you for spreading the word about these amazing dogs. What a beautiful blog, title and all! I am from Ontario, Canada where pits are currently banned but they seem like giant babies (in the right hands) I believe the ban is in the process of being lifted! Here’s to great dogs! and poo on bad owners! This is so wonderful! Thank you for all the work you do and for advocating for such an amazing breed! We have future plans to foster as well, but for now we’re enjoying our little pit bull rescue! Thanks again for sharing your love and fosters with us all! Looking forward to reading more! This is so beautifully written and captures what those of us who love pitties and fostering feel. Witnessing a foster pet’s transformation from a pitiful past to a fabulous future is one of life’s most rewarding experiences – choosing not to foster because of the potential pain of loss is missing out on something amazing. It is so nice to see that there is a family out there doing something I have always hoped to be in a position to do myself and will one day do my own part on this cause. Every time I see sensationalist media stories turning loving breeds into outcasts and watching as society lays judgement without even attempting to get to know an individual dog, my heart cries. Thank you for all the love you give to each foster dog you bring home and for rebuilding the lives of dogs who have had the misfortune of being in homes with undeserving humans. AWWWWW your dogs are so adorable!! Good on you! We have two German Shepherds and everyone is petrified of them but they wouldn’t hurt a fly, and they love cats! Hi: I stumbled across your site and just had to enter and read more! (well ok I admit, I love looking at the pictures of the dogs). I am a former “Pitbull” owner from years ago. She was part of our family, the kids would dress her up in baby clothes, she never barked. Only stood at door to let me know someone was there. I never had a leash on her and she would wait outside the store and anyone and I mean anyone could pet her. I am saddened by the sad way that things have gone with these dogs. I live in Canada and it is sad the way they are treated, one fellow out west has been ordered to put his down. I love what you are doing, bless you! Others try really hard such as Detroit Dog Rescue. I have not discovered what city you are in yet as I just got here, but so excited to continue following. I hope you will watch my blog as well and see our successes many which are rescues! Thanks for being the dog’s best friend and angel! Pits rock! We have 2 ( one is a lab mix, the other is pure) and we have 1 Catahoula Leopard…all 3 girls are rescued however I lovingly say they rescued and adopted us 🙂 cheers to you!! So inspiring. Love your story. First off, I just discovered your blog and my heart is melting and I am holding back tears at the thought of your kindness. I look forward to catching up on all your old posts, reading about your fosters and sharing this blog on my blog, Facebook and to every dog lover I know. I have three dogs from the SPCA that I could not leave without adopting. Every single day I check their website to see what new faces they have and hopefully help somebody I know meet their future companion. I still live at home, but my dream is to one day adopt as many as dogs as I possibly can in my lifetime and hopefully foster along the way. The best part is that, prior to adopting my 3 fur-siblings, I was terrified of dogs and I had an even worse picture in my head of dogs from a shelter. I now absolutely love dogs, my dogs especially and I try to help any dog I see in trouble. Let’s just say the local SPCA knows me and my mom well due to our many calls for run-ins with stray or lost dogs, and even our monthly visits to donate or visit the dogs. Unfortunately 10 years ago, my cousin was attacked by 2 Pit Bulls and nearly died and from this stemmed a by-law in my area that you cannot breed or adopt Pit Bulls from then on. Luckily in my hometown, the local SPCA does take in Pit Bulls but ensures that they are bred out to other provinces and even to the U.S. They also have abolished the euthanization of dogs who have been in the shelter for long periods of time. Because of this incident, and many other publicized incidents, Pit Bulls have a bad rep. It was not the dogs’ fault for attacking her, but the owners who had bred them to live up to the “so-called” rep that Pit Bulls many of times have in the public eye. They were not trained, and their up-bringing in that environment was not something any dog should have been living in. I commend people like you who help get rid of that reputation Pit Bulls have and show that they are loving, beautiful dogs just like German Shepherds, Chihuahuas or even Gold Retrievers. Thank you so much for every thing you are doing. There is a special spot in Heaven for people like you. Thanks again and I look forward to following your adventures! I know that y’all haven’t posted in a while (but hey, neither have I), but I had to come back. I shared my story of my lost boy before, but I have an update that I wanted to share with you, because I think you can appreciate it. Her name is Salem and I found her at our local shelter while trying to help my best friend find her own pup. She was bred before the age of one and was found as a stray. There are so many issues we’re helping her work through from whatever her life was before we found each other, but already her sweet, silly spirit is shining through. All dogs are amazing and change your life, but as far as I’m concerned, pitties are the best. Somehow, despite everything that terrifies her, she LOVES people. And dogs. And anyone that will play with her. 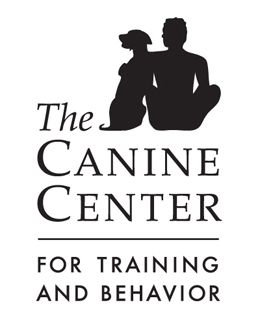 And we go out of our way to let her educate people on just how amazing these dogs can be. She’s a dainty little thing, and so far only one person has managed to resist her sweet self. We can’t foster anymore dogs, but we can educate. Thank you for the work you did, and for inspiring me to go out of my way now that I have my little girl to help change people’s minds.